Professional Quality Hair Tinsels that are designed and tested by stylists. 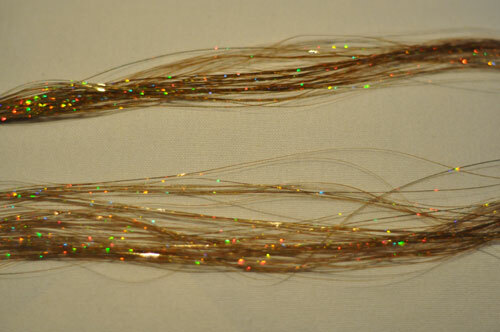 Each package comes with 100 strands that are 36 inches in length. They are thin, narrow, lightweight, and feel soft and silky like hair. Urth Hair Tinsels are made from 100% high-grade and heat resistant polyester fiber. They can be shampooed, blow-dried, styled, and even flat-ironed. Urth Hair Tinsels are easy to use (just tie them in) and last between two to six weeks. They are attached to a metal stylist clip, leaving no loose strands and easy to access.